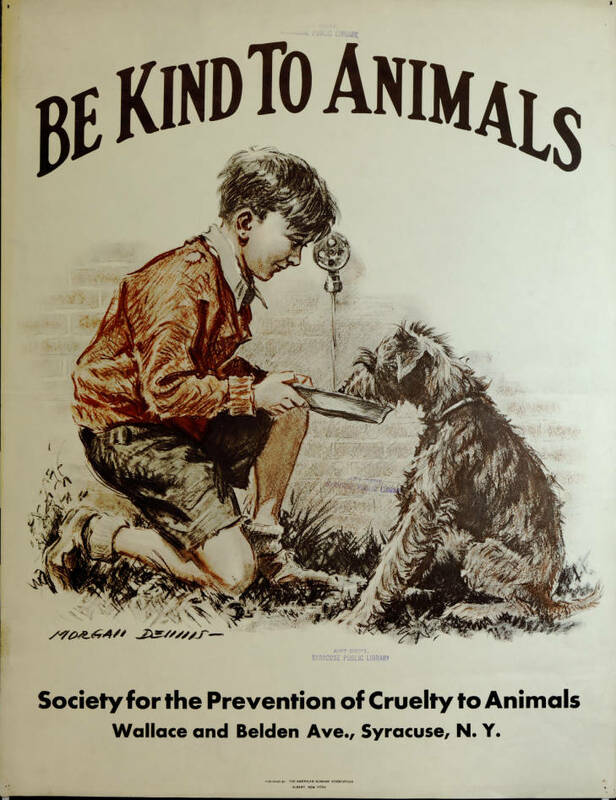 In this post there are 18 posters by the Society for the Prevention of Cruelty to Animals from 1935. These vintage posters are very cool looking. Poster of young boy feeding a dog, featuring the artwork of Morgan Dennis. 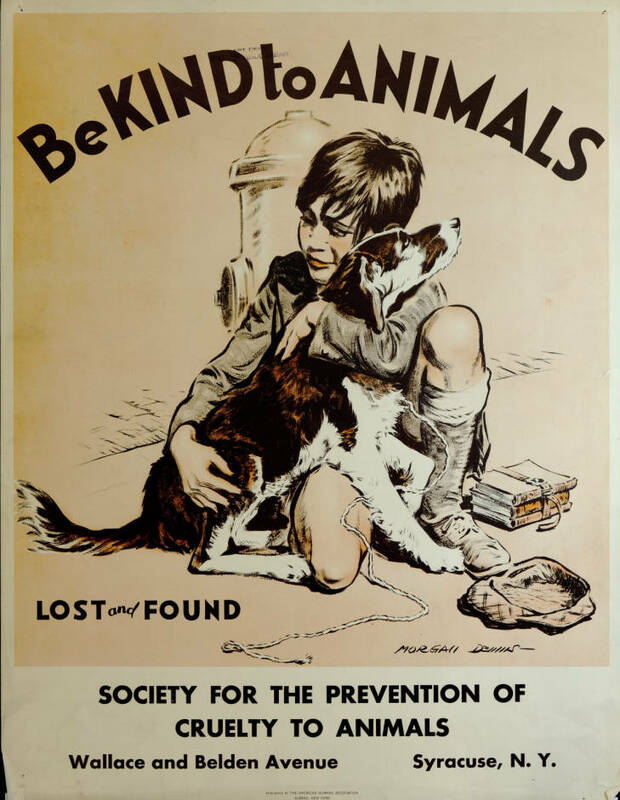 Poster of young boy hugging his dog, with the caption, lost and found, featuring artwork by Morgan Dennis. 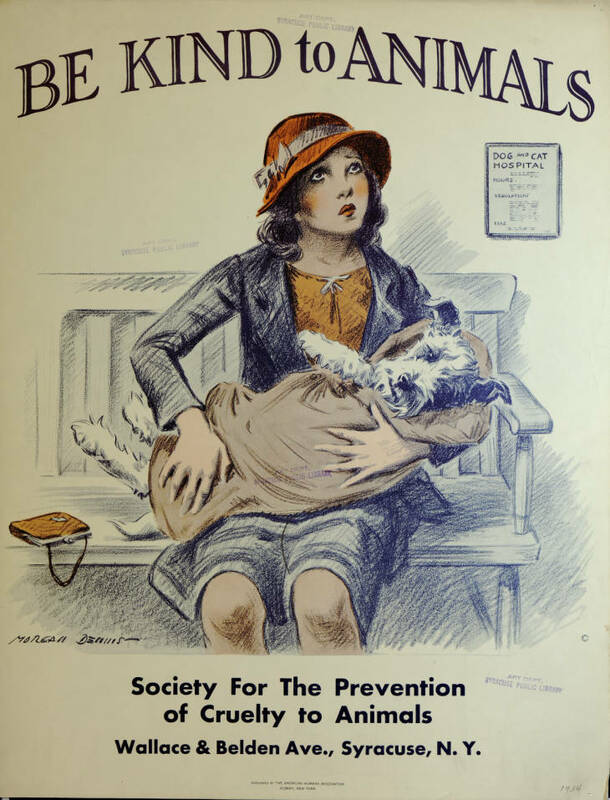 Poster of a young woman holding a dog in a blanket, featuring artwork of Morgan Dennis. Black dog appeared with a leaf in his mouth, wagging his tail and letting it be known that he wanted a cookie. The staff couldn’t resist and they gave him a cookie in exchange for the leaf. 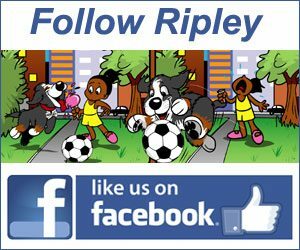 Watch The Video Of The Dog Bringing The Leaf To Pay For Treats.